It's still hard to believe what happened at the Boston Marathon on Monday. A race that celebrates human achievement and perseverance was quickly shattered by the ruthless acts of an evil villain. My eyes wouldn't let me believe what I was seeing and reading on the internet and my Twitter feed. Why? Why would someone do this? It's a question I'm still asking myself. 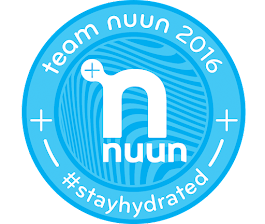 The outpour of support from the running community since this tragic event has been amazing. We are one big family and our family has been attacked. Runners across the country and even the world have been lacing up their shoes and running for Boston. Among all the confusion, running has provided us with a little clarity and peace. When I heard about The One Fund, created by Boston Mayor Tom Menino and Massachusetts Governor Deval Patrick, I loved the idea of hosting my next Twitter Road Race to benefit it. The sole purpose of the Twitter Road Race is to connect runners with other runners, near and far, and run in same race. In the past, I would hold the Twitter Road Race over the course of a day or weekend. 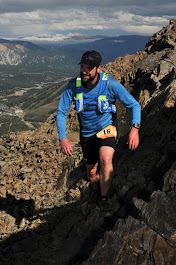 For this race, I will keep the finishers form open through the end of the month (April 30th). Also, this race will have no set distance. Run as much or as little you would like. If you want to submit multiple runs, go for it! Think of this race as more of a fun run. When you finish your run, post your distance on the finishers form. Then, donate to The One Fund and tweet using #TwitterRoadRace4Boston about your run! You don't have to make a donation to participate - I know some of you may have already donated to other charities and causes. 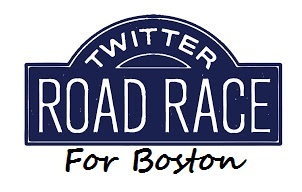 Please help me spread the using #TwitterRoadRace4Boston. Lets see how much we can raise for The One Fund!!! Thank you so much! I'm in Doug. Thanks for organizing. great idea! Google docs are THE BEST! :) Best of luck!